What is “history”? What is “future”? Architect Tadao Ando has pioneered a new field of architecture that emphasises the communication with the urban and natural environment as well as the people. The renowned architect gives a glimpse of the possible future while on the basis of architecture, urban, and natural history. Addition to the passionate messages to young and aspiring architects of the future, an intense discussion with the students awaits. 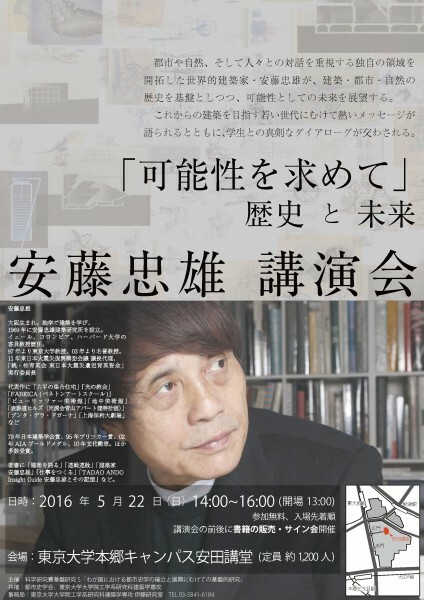 “TADAO ANDO Insight Guide” etc.